These beauty favorites from the past year that make amazing gifts to pamper someone special! Stock up while you can get these limited-edition value sets. Shop early for the best selection and guaranteed holiday delivery. Gifts are sorted below by price (highest to lowest). Here’s a chance to score a great value on uber-Luxe brand La Mer! Get this value set and try 2 of their best sellers at a great value (plus combine with other beauty offers at Nordstrom)!! 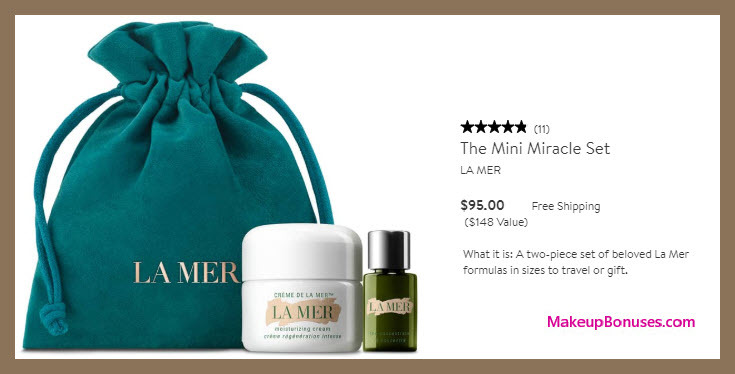 Click to browse STORE offers at Nordstrom or to browse recent BRAND offers from La Mer. Click to browse STORE offers at Nordstrom or to browse recent BRAND offers from CHANEL. This supercool set features the GRAVITYMUD™ Firming Treatments in gold, chrome, pink, and blue, as well as purple, black, and pink glitter masks. Set also includes a palette, stencils, and a brush for easy application. 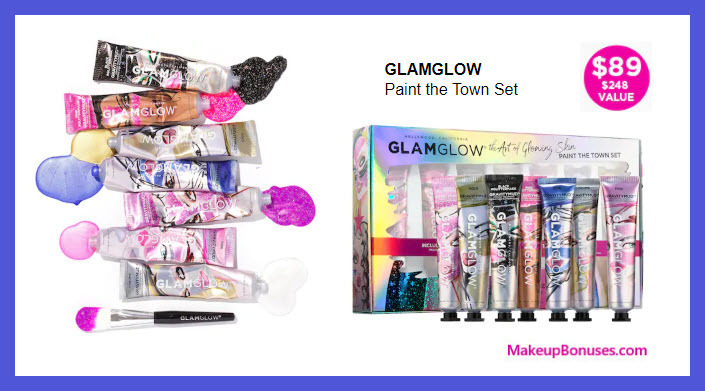 GLAMGLOW® has partnered with artist Astrid Vos @astridxvos to create custom package artwork to celebrate the season and take your glow to the next level. This Paint The Town gift set defies gravity with an out-of-this-world innovative peel-off mud treatment that instantly leaves skin feeling firmer and more lifted with licorice and marshmallow leaf. With an array of colors to choose from, skincare has never been more fun! members. Sephora offers Free Returns on all purchases. 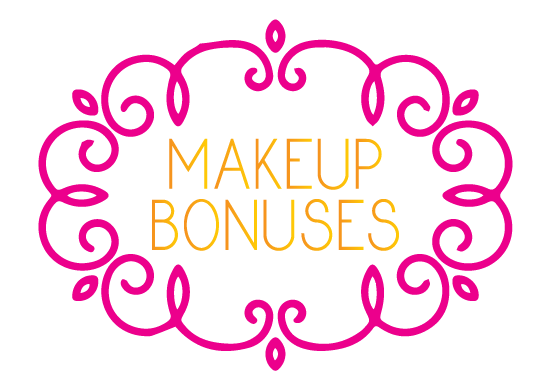 Click to browse STORE offers at Sephora or to browse recent BRAND offers from GlamGlow. A mild, refreshing lotion toner that penetrates instantly to get rid of dullness and promotes an even, refined skin tone. Use as a toner morning and evening after cleansing. Generously soak a cotton pad and pat gently over face. For increased effectiveness use with Lotion Mask, 1-2 times a week. 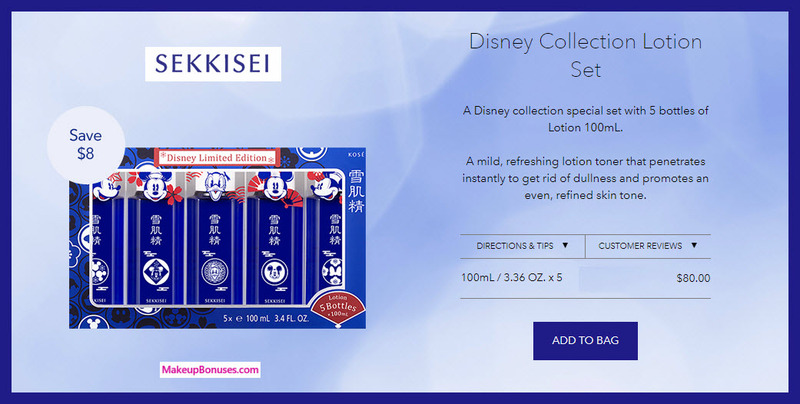 A Disney collection special set with 5 bottles of Lotion 100mL. Click to browse STORE offers at Sekkisei or to browse recent BRAND offers from Sekkisei. 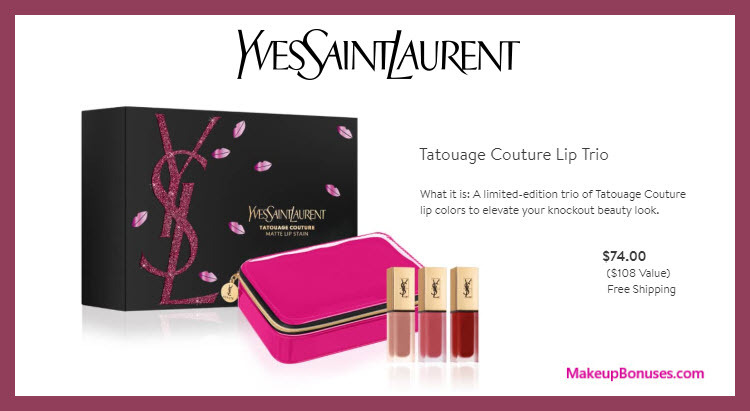 A limited-edition trio of Tatouage Couture lip colors to elevate your knockout beauty look. A matte, fresh, liquid lip that stays in place for eight hours, Tatouage is exactly what you need to conquer the season. In three gorgeous shades, choose the perfect one to accompany your look and begin by lining your lips with the applicator for a precise finish. Finish by filling in the rest of your lips for a look to impress. Click to browse STORE offers at Nordstrom or to browse recent BRAND offers from Yves Saint Laurent. 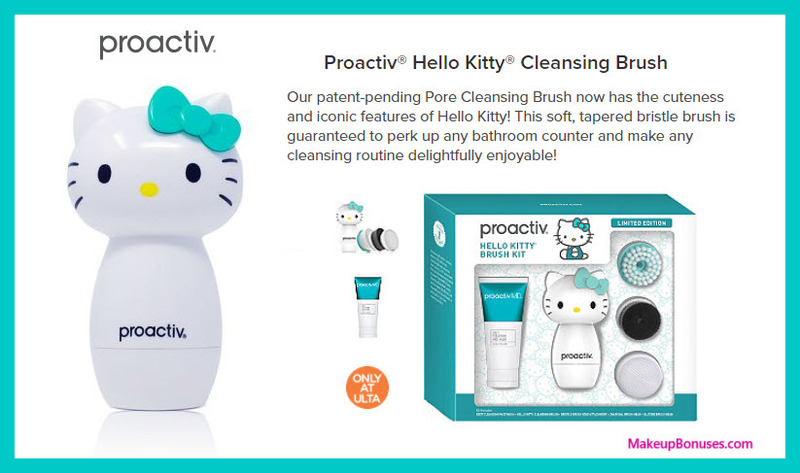 Proactiv’s patent-pending Pore Cleansing Brush now has the cuteness and iconic features of Hello Kitty! This soft, tapered bristle brush is guaranteed to perk up any bathroom counter and make any cleansing routine delightfully enjoyable! A limited time brush offer, this Hello Kitty Brush is built to help clear away surface debris to keep pores from clogging. Portable, cordless and water resistant, the Hello Kitty Brush has two speeds and continuous 360 degree rotation for customizable exfoliation. Bristle Brush Head: Soft, tapered bristles are specially designed for deep cleansing of acne-prone skin by helping to remove makeup plus everyday dirt, sweat and oil. Charcoal Brush Head: A charcoal infused, deep-cleansing brush head engineered to rotate 360 degree at low or high speeds for customizable gentle or enhanced exfoliation. Silicone Brush Head: Their first and only hygienically clean, deep-cleansing brush head engineered to rotate 360 degree at low or high speeds for customizable gentle or enhanced exfoliation. Rows of soft silicone fingers gently massage the skin giving you up to five layers of deep cleansing power. ProactivMD Deep Cleansing Face Wash 2oz: A gentle, non-medicated liquid cleanser formulated to help clear dirt and debris from deep within the pores. 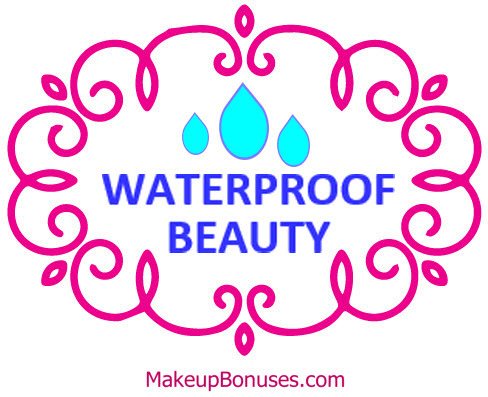 Click to browse STORE offers at Ulta or to browse recent BRAND offers from Proactiv. 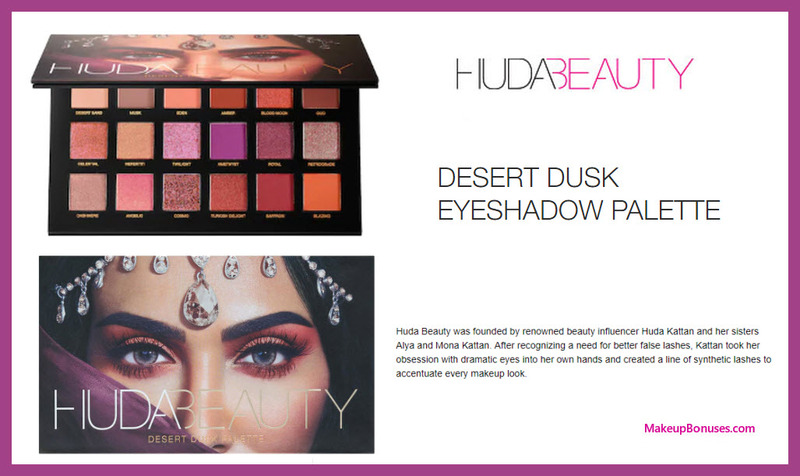 Find out what all the rage is about with this new HUDA BEAUTY Eyeshadow Palette. These 18 shades form stunning looks from light to bold. Click to browse STORE offers at Sephora or to browse recent BRAND offers from Huda Beauty.